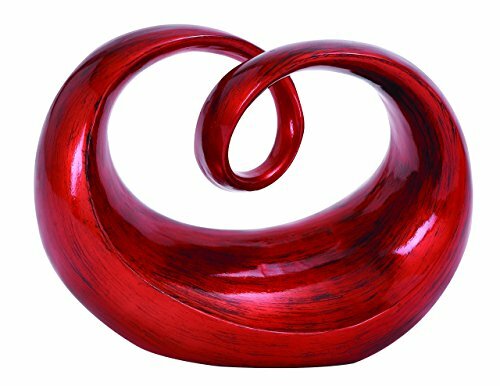 12 inch contemporary red finish abstract infinity sculpture. Suitable to use as a decorative item. Unique home decor. This product is manufactured in China.